Hello fellow arena members. I need help from Chiclana, Andalusia, Spain. If you live nearby or within this area, and don't mind helping out a fellow arena member please get back to me as soon as possible. Trader Support / Anyone from Slovenia or Croatia? Hey, is there anyone from Slovenia or Croatia? I need your help to purchase something, I will pay for everything. Please drop me a message, thank you!! So recently I got into shibajuku girls. And I really really love wave 1 shizuka. So I went on a hunt and finally found her on target (usa) online website for a reasonable price. I also really loved the fashion packs, and particularly looking for these ones below, but target was selling them at $10/pack, and I couldn't justify the high price, so I only decided to get the black one for now. But if any of you guys see the other ones on clearance do help me get them and I'll pay you for everything. I am also a fan of project Mc2 and finally saw this adrienne so I also added her to cart. 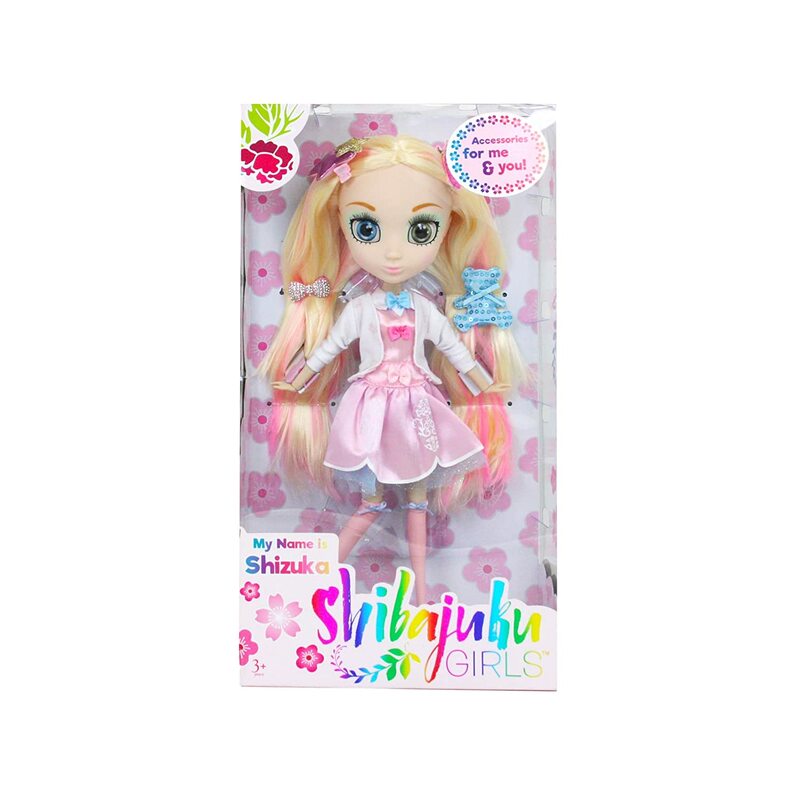 So my cart had: shizuka doll, the black fashion pack, and adrienne doll. Just 3 items. The price was around $50 and so I qualified for free shipping. I checked out and received an email confirmation that my order was confirmed. The website also showed the expected delivery day and etc. A few hours later I went back to check my order and it was cancelled. I re-order again and once again they confirmed my order. Then an hour later, I checked and the order was cancelled again. I contacted Target and asked and they looked into it but told me they didn't know what was wrong either. So I was wondering if anyone could help me get the 3 items above? Just contact me and we can discuss. I'll pay for everything. I'm desperate now. Mods please help to shift accordingly if its not the right place. Thanks! I need help from USA again.. and this time is from Kohl's online store. Unfortunately, Kohl's does not ship internationally. Anyway, long story short, if you are from the USA, and are able to buy some stuff for me from the online store and ship it to Canada, drop me a message asap and I will give you the details. I will pay for everything including the shipping from Kohl's to you, and from you to Canada (me). Please drop me a message like ASAP coz they are having a sale and I urgently need to get an item. Dear Mods, feel free to move this thread if required. Hey my friends from USA! Ever since I laid my eyes on this beautiful ornament, I've wanted it. Its the enchanted rose light up ornament from the Disneystore. (I dont know if I can post links, but message me and I'll send you the link). The problem is, its only sold in the USA. Shipping from the disneystore is $24 USD, just for that small ornament. I was wondering if any kind soul would be willing to pick up the ornament for me and ship it to canada. It costs about $17 USD, and whatever is the cheapest shipping to canada. I'll pay for everything. Please drop me a message. I've had this idea ever since the Pinkie Pie Switch-a-Do Hair Salon came out. In this set, there is a bald pinkie pie that you can change hairstyles using the rubber wigs that come with the set. I got this set, and initially i had planned to root her hair, but the plastic was pretty hard on her head, and it didnt come with any holes (which meant i had to pierce some holes if i wanted to root her). So i did the next best thing. I used a monster high inner monster pink wig that came with the fangstastic love set, cut some slits for the ears, and voila! An Equestria Girls Mini Brushable Pinkie! I dont know if you can do this with the other minis, as they have moulded on hair and im not sure if you can remove the hair. But the switch-a-do Pinkie doesnt come with any hair fixed on her hair, so its easier. Hey guys! Not sure of posting correct place, mods please help to move accordingly. My collection has expanded and I'm looking for cheap monster high stands on Aliexpress. However, I'm worried about the waist clips. Like some of them claim to be for monster high and Barbie. And I know Barbie definitely has a wider waist than monster high. So the clip may be loose and unable to hold the doll properly. Also do the reboot dolls hav the same waist as the older dolls. Where I live there isn't a Disneystore. So I was wondering if anyone could help me. I've checked the Disneystore website and they don't have these dolls online as well. 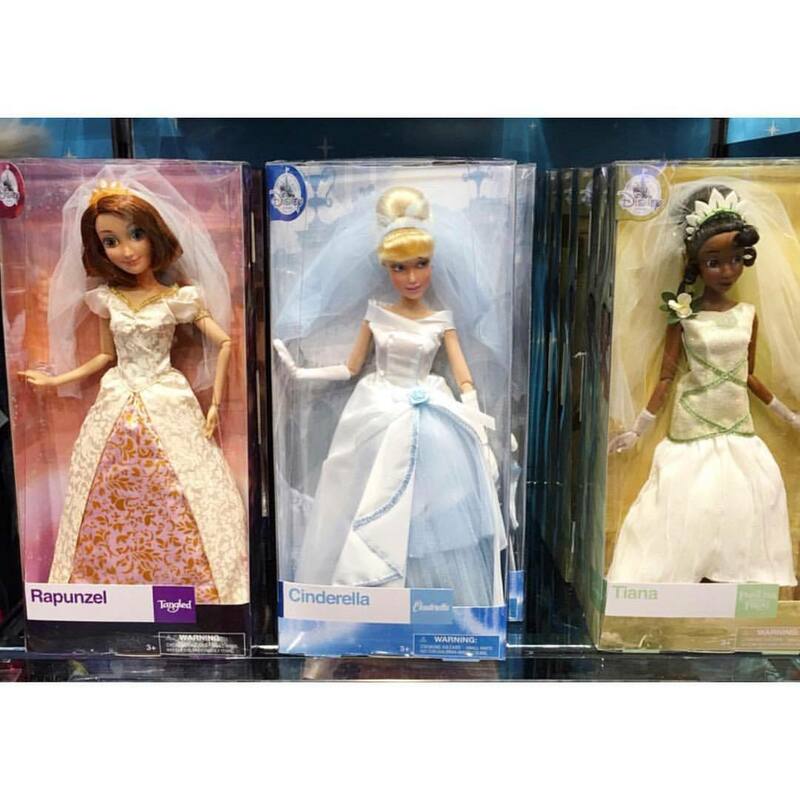 I'm looking to get the wedding Rapunzel and Cinderella dolls. All expenses (shipping, cost of dolls, etc) will be paid by me. Urgently need them!! Pm me if you can help! As a girl, it was my dream to own a life size doll. At that time they had those huge barbies that were the size of human kids and you could wear her outfit and dress her in your outfits. I remember wishing i could have one, so she could like my sister. Unfortunately, my parents never got me one as they were kinda pricey and also there was no space to keep such a huge doll in the house. Personally i think they may have been creeped out by a huge doll but i digress. When monster high announced the 17 inch ghouls, and one of Draculaura, i was sold. Draculaura is one of my favourite characters and owning a huge version was a dream. She also isnt as big as the Barbie i wanted as a kid so its easier to keep. And she isnt as pricey either! I understand that finding outfits for 17 inch dolls can be tough. Many people have said that Barbie clothes do fit well because of the waist. Shoes are another problem. Personally i only have a few outfits and 3 pairs of shoes for my doll, which i will be reusing throughout this post. Today, we will be joined by one of my favourite dolls, the 17 inch Draculaura! I particularly like this doll because of all her articulation. She is able to do poses that i cant even do! And she has really beautiful thick hair that you can try all sorts of hairstyles on. Unfortunately i dont like the gel in her bangs, so i did a quick wash.
Draculaura: Of course, washing my hair is optional. I dont like the gunk either. Its so hard! Here is Draculaura after the wash.
Draculaura: Here's a close up of my fabulous bangs after the wash! Sorry! Ok sure Draculaura, i have a couple of cute outfits for you! First up im gonna put you in your signature outfit. The boots for this outfit are HUGE. Draculaura: Huge boots? what are you talking about? These fit nicely! Draculaura: Hey take my good side! Draculaura: Look how flexible I am! Draculaura: Ok can we please move on to the next one? Ok the next outfit, i got from your beast friend Frankie! I painted her shoes silver so that they can be more versatile. Draculaura: So my only question is, who wore it better? Me or Frankie? Maybe the audience could vote? Draculaura: This is actually pretty comfortable! Do you have any more outfits from my ghoulfriends? Yep! Elissabat was here earlier. She dropped off some of her clothes and earrings. She had to keep her shoes though for her premiere at Hauntlywood. Draculaura: Wait this isnt my good side! Erm.. ok. Audience, would you like to comment if she is indeed "twinsies" with Elissabat? Draculaura: Yea, here is a side profile to as well! Draculaura: I actually love this dress! I can wear it without the coat part too, for dates with Clawd. Isnt it pretty? Well, we still have a couple more dresses to go Draculaura.. In fact, do you remember Cupid? Draculaura: Yea, how can i forget? She attended my Sweet 1600 but transferred to Ever After High. You mean Cupid left her dress for me?? *squeal* She also likes pink, which is tots my favourite colour! And..
Erm.. Draculaura.. She didnt.. But one of her best friends, Maddie left her dress for you. Unfortunately, she needed the shoes for her tea party later on. Draculaura: Im a little teapot, short and stout.. woah.. im gonna fall..
Draculaura: Ok that much better. Love this outfit. I love the little hat and necklace. I am wearing Elissabat's earrings and Frankie shoes to complete this outfit. What do you guys think? Draculaura: This outfit is also versatile. Look what a difference the headband makes! So whats next? Is any other friend loaning their outfits to me to model? Because I was a model you know..
Haha yes Draculaura im sure everyone knows about your modelling career by now. But i always thought u joined the photography club? Well, this outfit i got off Aliexpress. I wanted to see how you looked like in a princess dress. Its actually for Barbie but i wanted to see if the length was ok.
Draculaura: Are you kidding me? This so such a beautiful dress! I look like a princess! Audience, dont you think I look like a princess? I completed the outfit with Frankie's shoes, Maddie's necklace and Elissabat's earrings. The length is ok! Look you cant even see my shoes! Draculaura: Here's a little peaky peaky of my shoes. The waist also fits me well. Guess me and Barbie share a similar waist.. wonder if she is vegan..
Draculaura: And here are my fabulous shoes! The last tier is transparent so I can show off Frankie's fabulous shoes! Draculaura: I am slouching because SOMEBODY *ahem ahem* forgot to give me a stand. But look the dress isnt as puffy as u would think. Its actually kind of pretty! Okay Im sorry! I got so excited taking pictures i forgot the stand! Oops..
Draculaura: Well I am tired, so here is a sitting pose. I just love how this dress spreads out when i sit. I truly feel like a princess. How many more do we have, piinkypiie? Well, I left the best for last, Draculaura. And i will be leaving you in this dress, so you dont have to change into your signature outfit. I got it from Aliexpress too and it it also for Barbie. I hope the length is okay..
Draculaura: What a STUNNING dress! I feel so 'expensive'.. Dont I look like super classy? Haha! Audience, what do you think? By the way, I have paired this outfit with Gooliope's red shoes! Draculaura: Here's a clearer view of Gooliope's shoes. I love the carousel heels she has going on. And the length is ok. I wont trip over my dress! Draculaura: I also love the bling on this dress and this pretty feather boa. Perfect outfit for Christmas time dont you think? Draculaura: Well, I think the audience cant see this heart deco with this feather boa. I am going to remove it okay? Draculaura: Look at this stunning tube dress. The heart bow is just a beautiful addition to this dress and sparkle just elevates this dress and gives it such elegance! Thank you! I am tots in love with this dress! Well Im glad you love your dress. I think it also matches your skin very well and makes you look really beautiful. Ok thank you Draculaura! Im sure the audience appreciates all your modelling today! So what do you guys think of the outfits Draculaura modelled today? Do let her know! 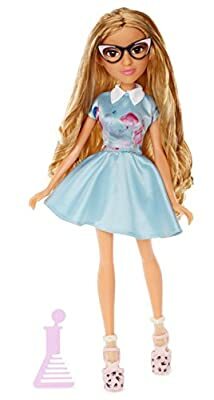 Anyway, i guess a great tip for 17 inch dolls is that most outfits and shoes can be versatile and you can mix and match different outfits, shoes and accessories to get different looks. Its really fun, and you are limited only by your imagination! Also Barbie outfits, especially long dresses and tube tops can fit these dolls well. A great and cheap source for such dresses is Aliexpress. I hope this has helped (and entertained) all of you! Monster Discussion / Hilarious MH wikihow! Just got my stuff from amazon! Not sure if this should be in brags or..? 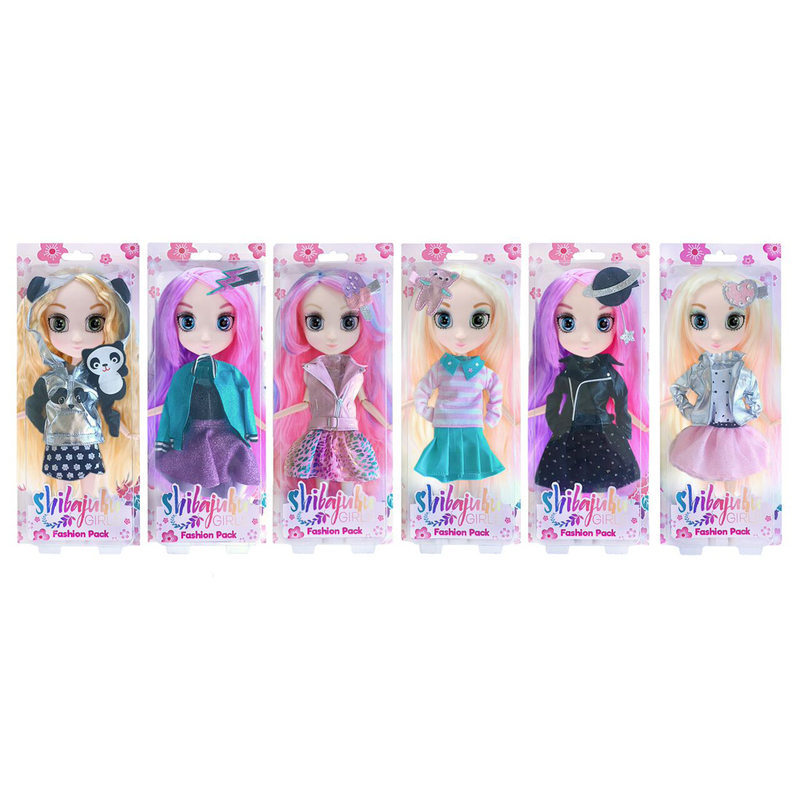 Do you guys remember the monster high fashion packs? Well I came to monster high pretty late.. And when I came across the draculaura newspaper club fashion pack, I fell in love. So.. Since obviously its not available anymore, I went to ebay. My gosh the prices were sky high. I was soo sad. Then I saw a seller with a best offer. So I thought I'd try my luck and she sold it to me for $30! With free shipping! I still cant believe it.. Even now.. I.hope its not a scam.. It was a mib draculaura newspaper club fashion pack..
anyway back to sweet screams. So i think the dolls are pretty cute but i thought draculaura looked pretty unique. her eyes are huge anime type eyes and her hair is licorice. count fabulous is like a bubblegum candy or something and her purse has a face and looks like someone bit it. her cute little socks AND HER SHOES! im not sure what theme she is.. bubblegum and licorice? could someone enlighten me? i managed to get signature toralei,lagoona,abbey,venus,spectra,cleo,rochelle for very good prices too.. which is great because i love the pets. I was just wondering if anyone has successfully removed the random red thing across her eyes without removing her eyes. If yea, post pics! Also is the skin translucent? Trader Support / Need help from someone in New Jersey or New York! 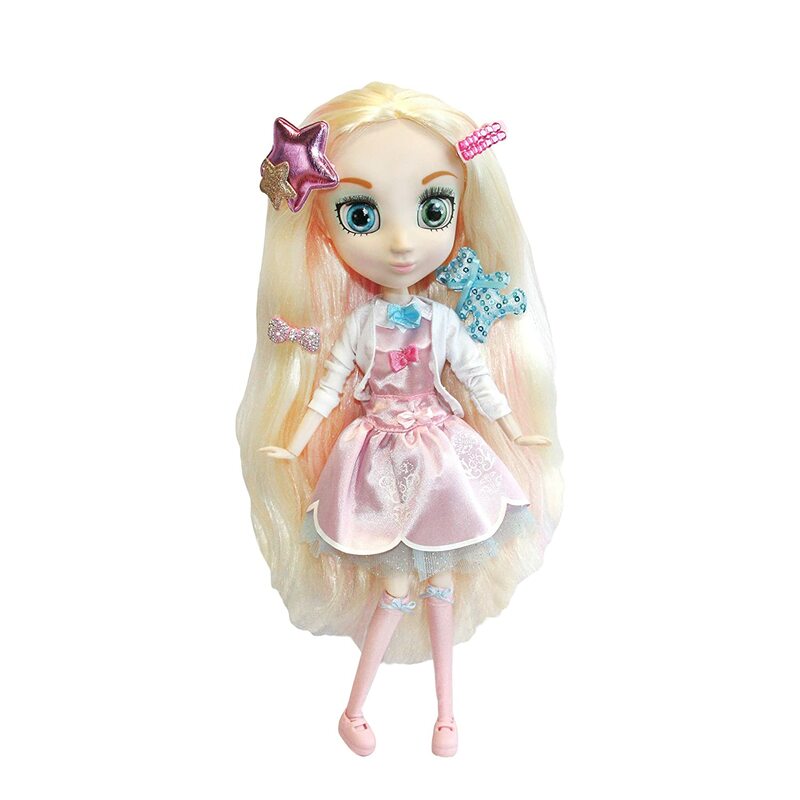 I stumbled upon a single rerelease of Ashylnn Ella Doll on Target's website. It doesnt come with Hunter. If anyone of you could help me pick her up, pm me! Ill pay for everything including shipping. Pleaaasssseeee~Thanks! Firstly, really nice to meet all of you! Thanks for stopping by and taking the time to read this. A little background information. I have a chronic illness, and medical costs arent cheap (if you are really curious you could pm me for more, as i dont want to reveal it so publicly). Furthermore i am a student and pretty broke. Therefore, i have been working part time in order to make ends meet. I dont usually buy dolls and toys, but when i do, its for something i really REALLY want, because money isnt that easy to come by. Sometimes i have to save for years before i can afford a new toy/doll. Its just that money always ends up going to more important things like medicine, bills, food. Sometimes i even have to use my "doll savings" to pay for emergencies(and doll savings take forever before they even reach a substantial amount). Recently, I lost my part time job (the economy here isnt doing so well for students looking for part time work). And I decided to sell some of my dolls/toys to earn some money. For the time being I've asked some relatives to help out, but i cant depend on them forever. Unfortunately, my toy sales havent been going so well. And I am at a loss..
Its not like my toys are in baity condition either. Some of them are still MIB. I need advise from experienced sellers. How do you sell your stuff, FAST? Ive tried everything i could thinking of. To responding to "wanted" lists. To selling stuff in lots. To even the extent of allowing buyers to quote their own prices. I cant think of what else to do. I know some may recommend joining ebay to reach a bigger market. But the problem is, i have heard that many who sold on ebay ended up in losses/not worth it because they did not get the returns they wanted. Any other suggestions/help would be gratefully appreciated! Pretty small want list haha.